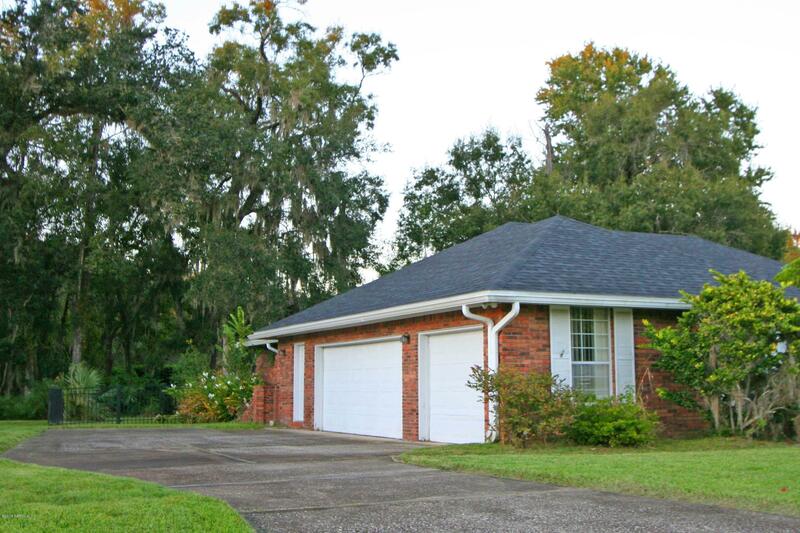 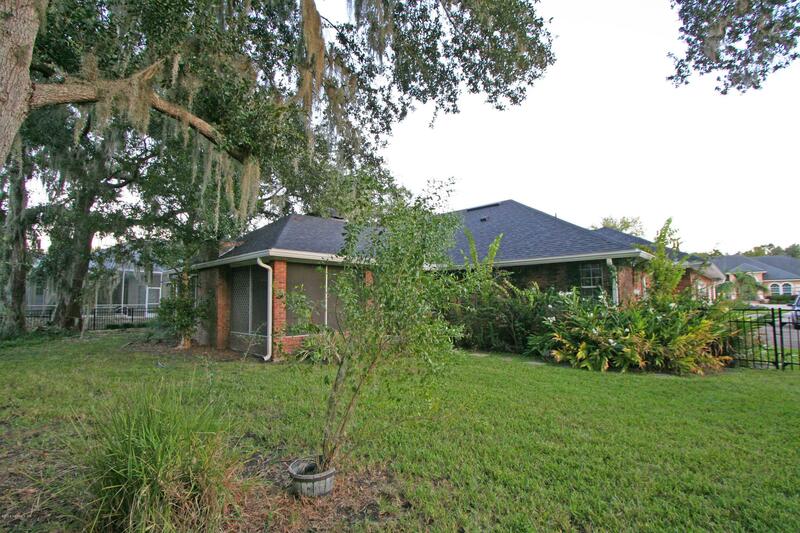 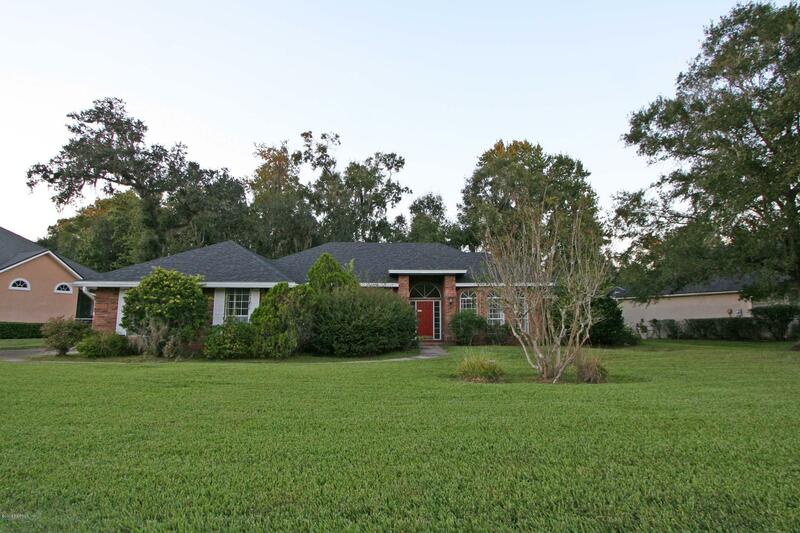 This is a full brick home in gated Orange Park Country Club. 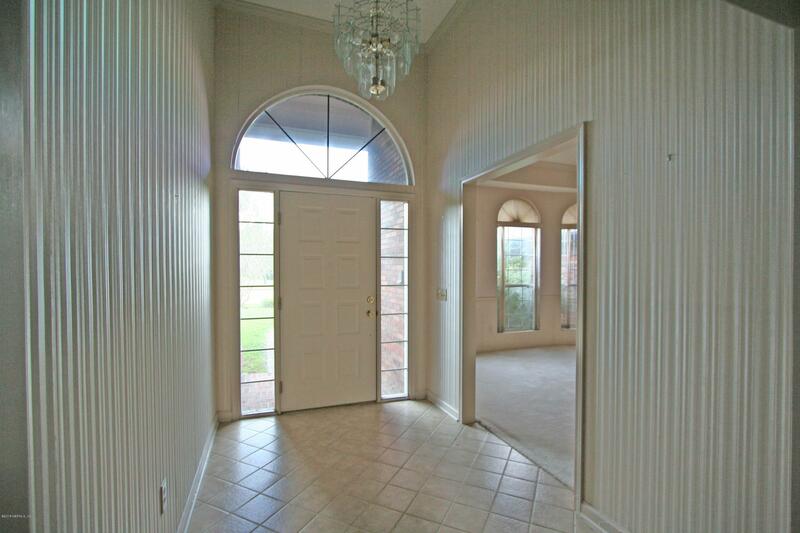 The front door leads into a bright and airy Foyer. 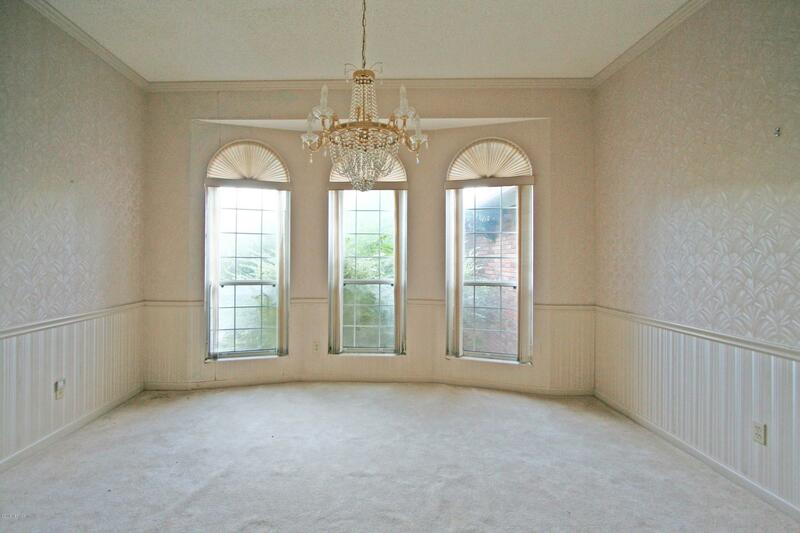 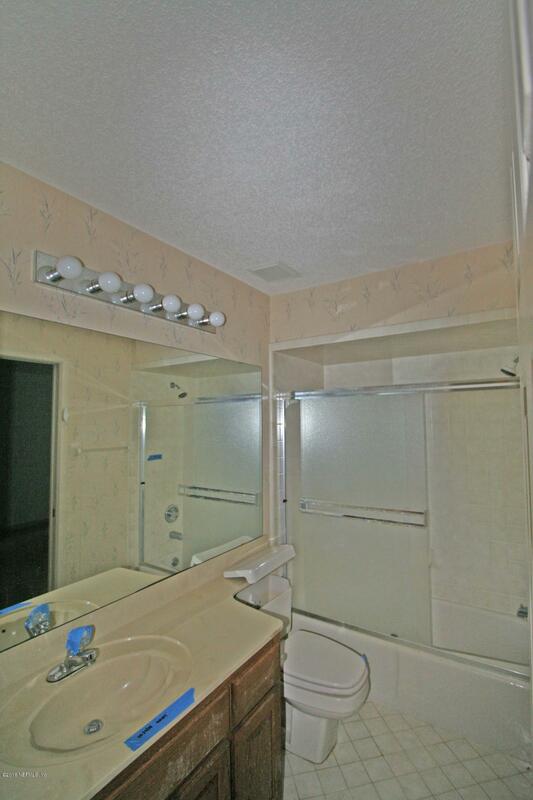 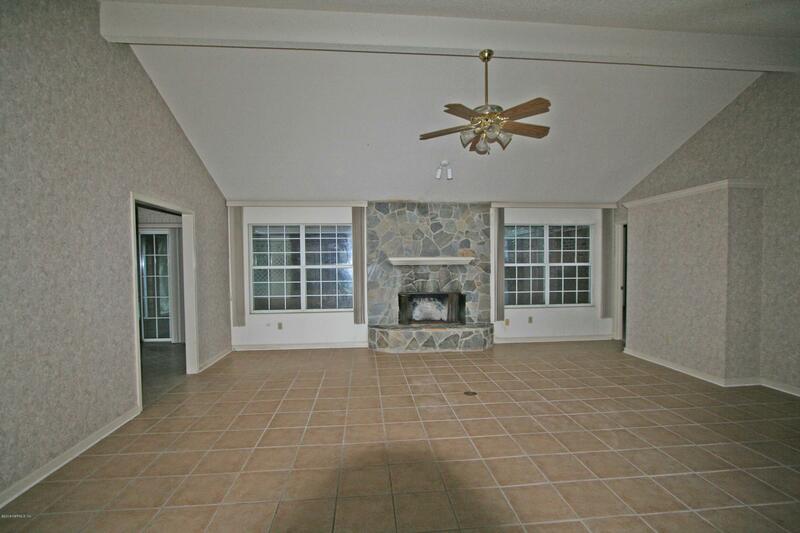 The Living Room is large and open with high ceilings, a brick fireplace and corner wet bar. 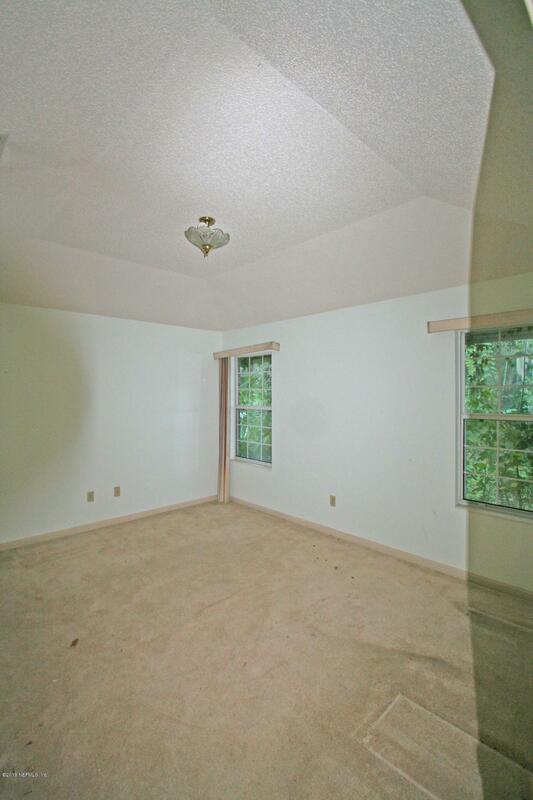 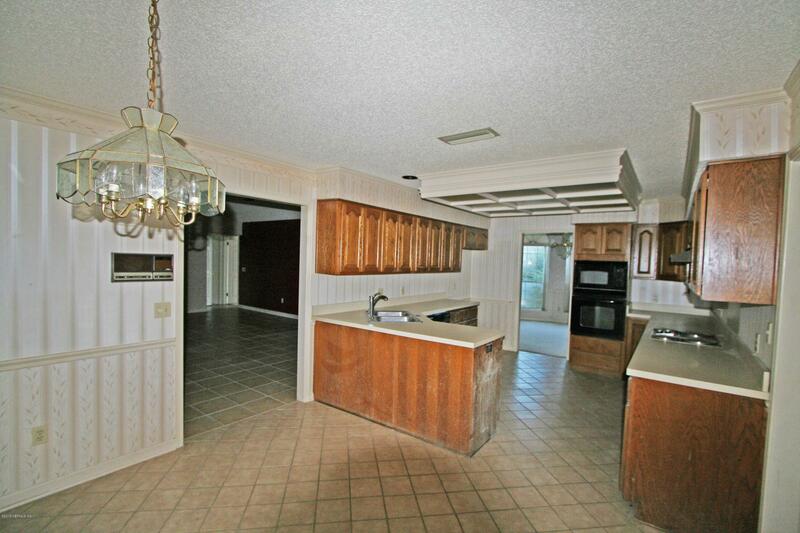 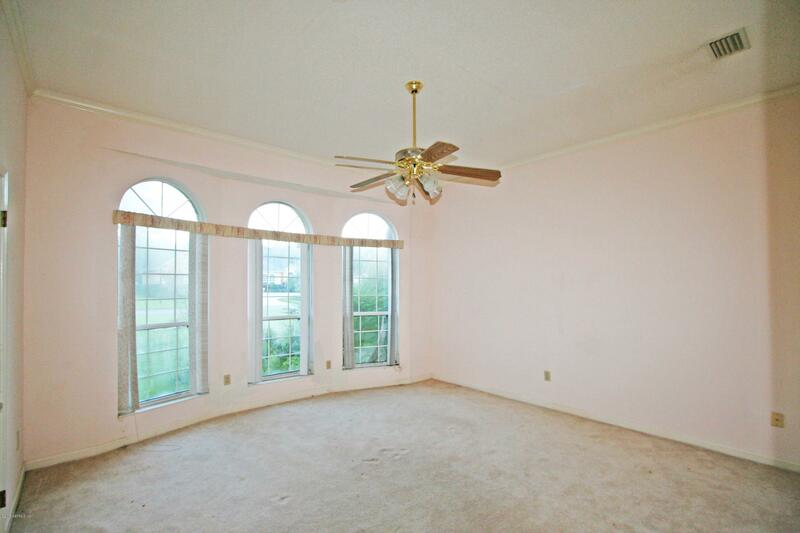 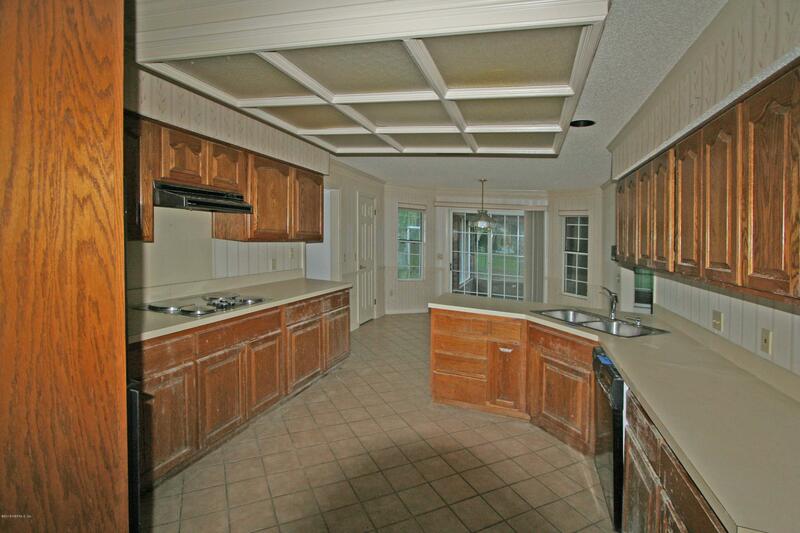 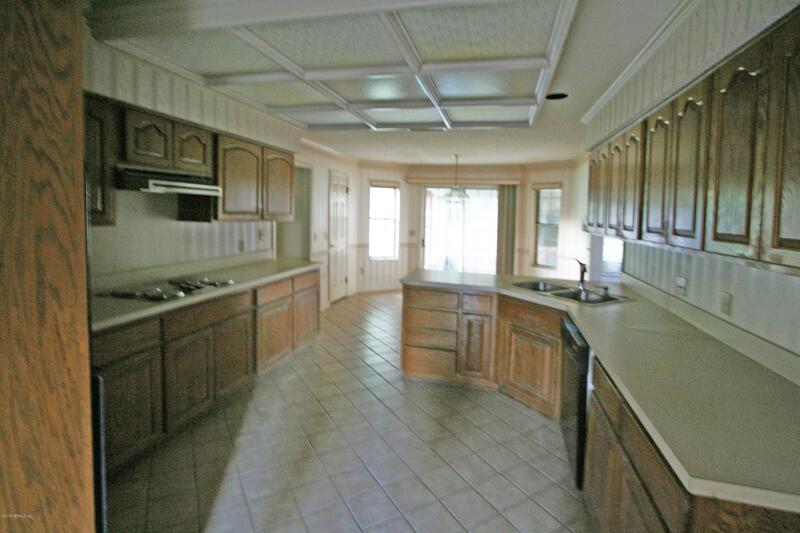 There's a formal Dining Room and a sunny dining nook in the spacious Kitchen. 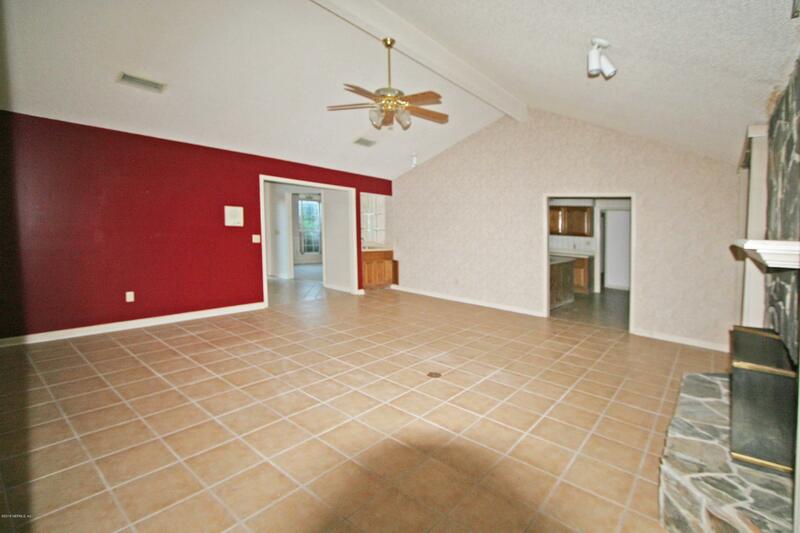 This unique floorplan is 3 bedrooms and 3 bathrooms. 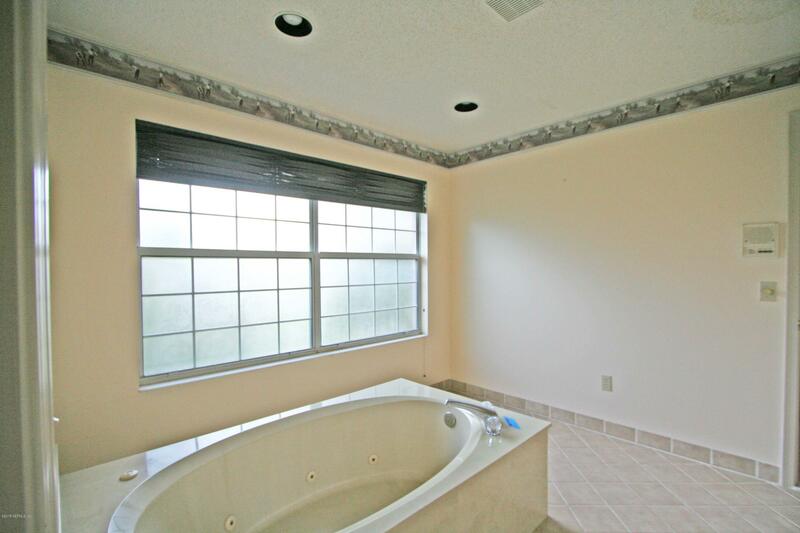 The jetted garden tub is in a separate jack-and-jill style room between Suite 1's attached bathroom and Suite 2's attached bathroom. 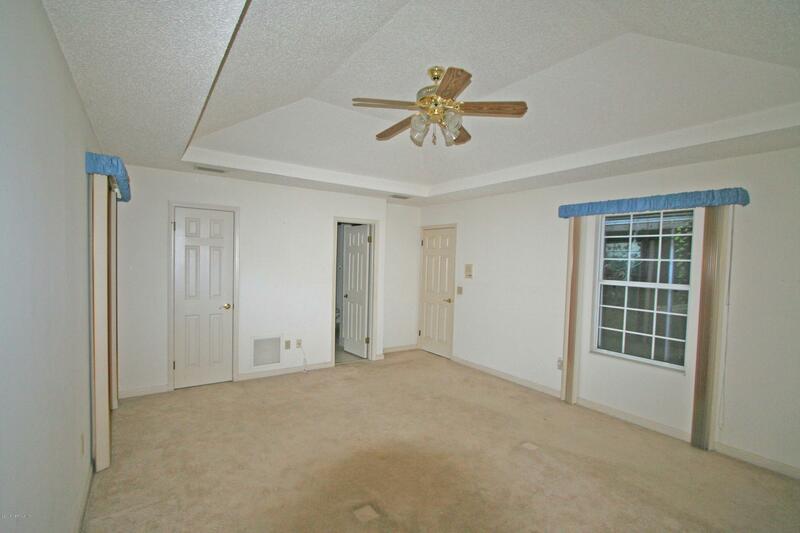 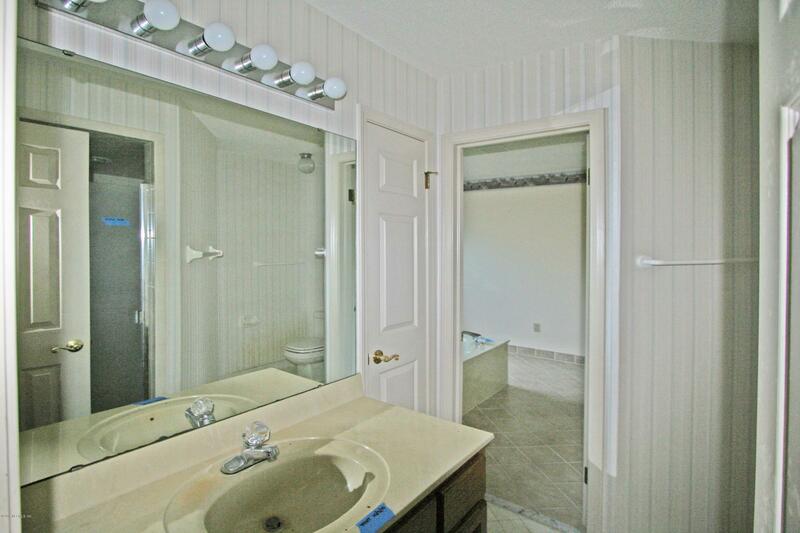 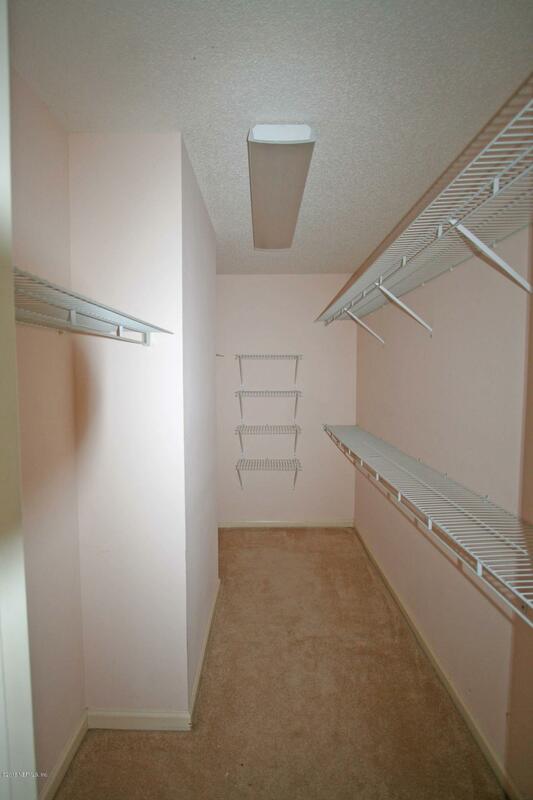 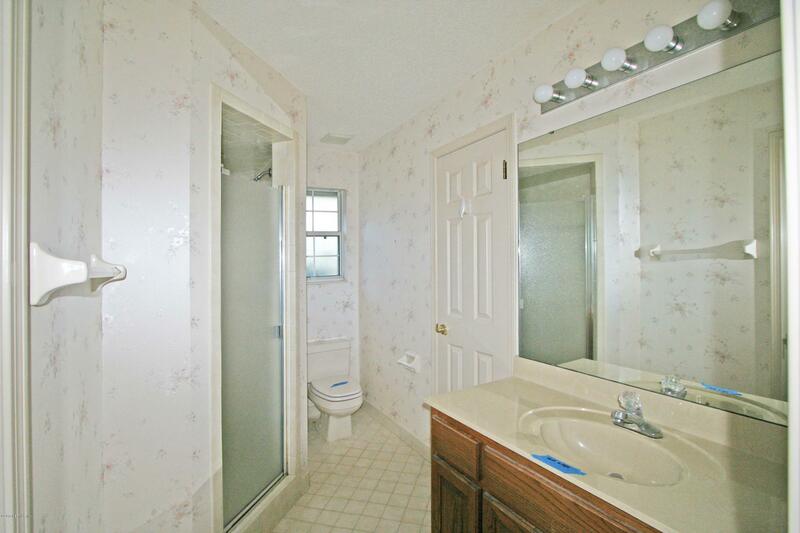 There is separate inside laundry, a side entry 3 car garage, plus screen enclosed patio. 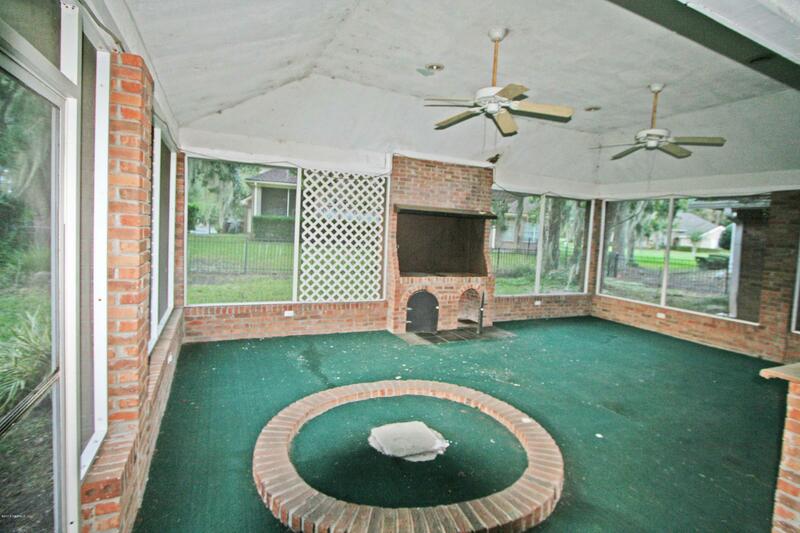 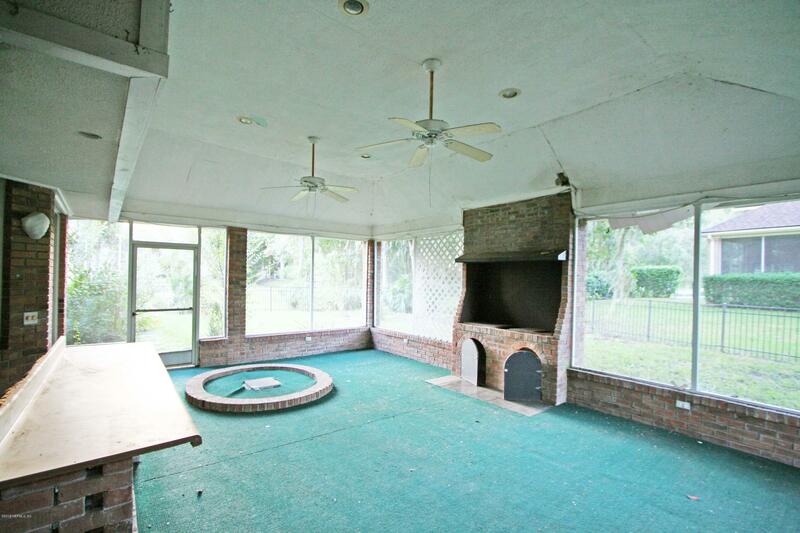 The screened patio is complete with a brick barbeque oven.